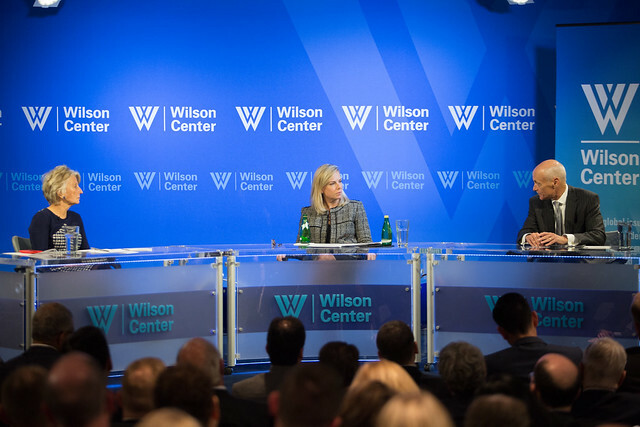 The Wilson Center and the Aspen Institute Homeland Security Group hosted U.S. Secretary of Homeland Security Kirstjen M. Nielsen for a discussion on her Department's strategy for confronting the terror landscape facing the United States — including aviation security, radicalization, enhanced screening and vetting measures, and protecting against soft-target attacks. The Secretary's remarks were followed by a question-and-answer session with the Wilson Center Director Jane Harman. Secretary Nielsen oversees the United States' third largest Cabinet department and leads the nation’s efforts to protect against a broad range of threats. The Department’s missions include counterterrorism, border security, immigration, cybersecurity, disaster prevention and management, and more.